Looking for that sweet new digital desk for the studio or your venue/touring rig? Presonus Studiolive Series III is one of the finest offerings on the market. What's more, Presonus are currently offering a free Earmix 16M with the purchase of any Studiolive Series III Console! If you purchase, or have already purchased any Studiolive Series III Console between January 1st 2019 and February 28th 2019 you will be eligible to claim one of these excellent pieces of kit absolutely free! Already purchased one during this period? Grab the rebate form just below now and take advantage of this fantastic offer! Presonus' Studiolive Series III desks provide high quality audio tools, as well as a fast and intuitive workflow. 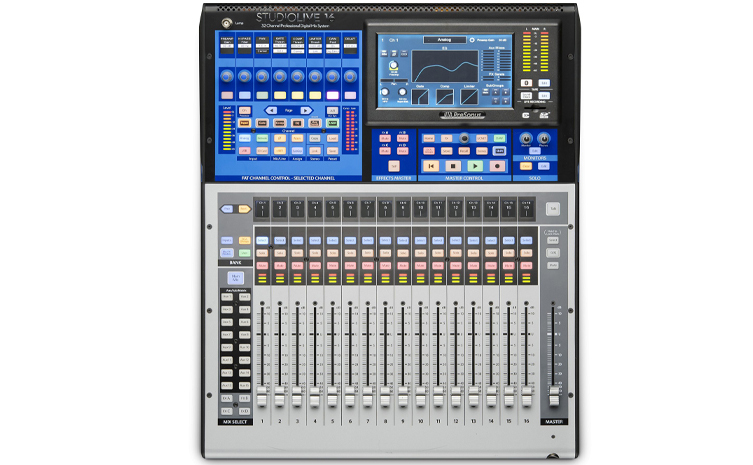 You have access to touch sensitive motorised faders, fully recallable scenes and XMAX preamps. You also have the Studiolive's famed Fat Channel processing, with vintage-style EQ and compressor plugins. It also features software call Capture, which is installed directly into the desk. With this you can make *MULTITRACK* SD card recordings, meaning you can record a band's live set and take the card home and it will automatically open all of your settings such as EQ, fader levels in a Studio One project. Phenomenal! Interested? Check out the range below, but don't forget to download the claim form to take advantage of this excellent deal.